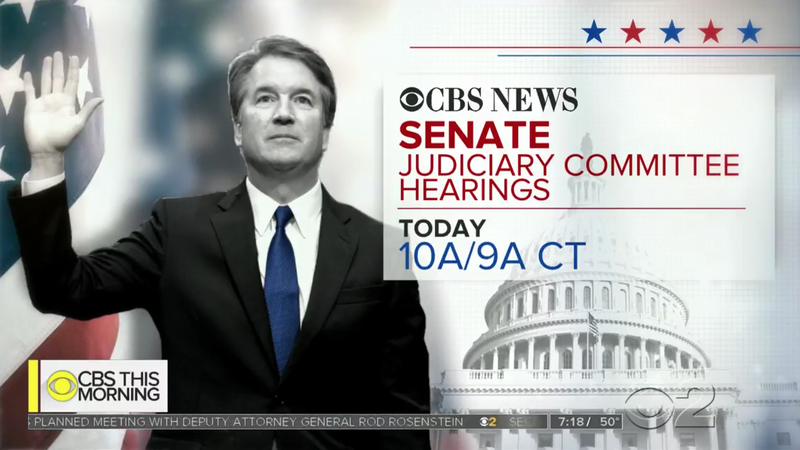 “CBS This Morning” originated from the network’s recently updated studio in its Washington, D.C. bureau for the Thursday, Sept. 27, 2018 edition of its broadcast to provide special coverage of the Kavanaugh hearing. Anchors Gayle King and John Dickerson were in the studio, which is normally used by the network’s Sunday morning public affairs show “Face the Nation” but has also hosted “CBS Evening News,” while Norah O’Donnell was on Capitol Hill. O’Donnell was able to have a sort of “virtual” seat at the desk, which is a smaller — and “wingless” version of the desk back in Studio 57 — thanks to one of the studio’s tracking vertical monitors — a look also used back in New York for remote guests and reports. 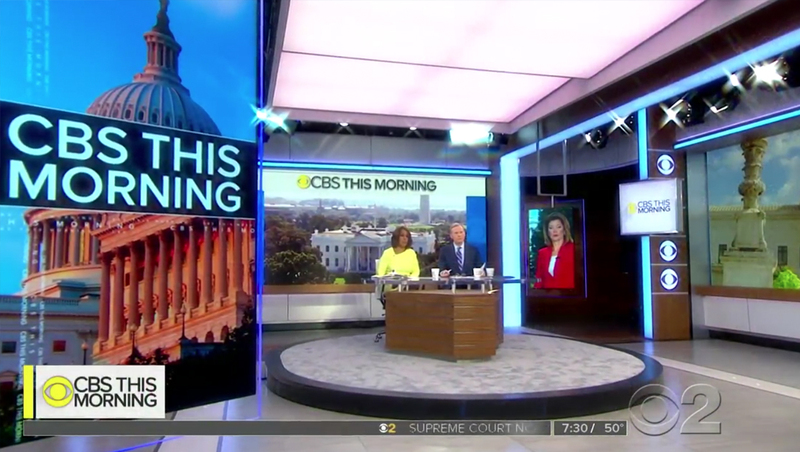 The studio’s various video walls and panels included “CBS This Morning” branding and a variety of views of the capital, including a live view of the White House. CBS, much like NBC, offered a timeline graphic to explain how day’s proceeding would progress. Unlike “Today” — and how it normally does even during major stories — “CBS This Morning” stuck with its normal open and kept the “EyeOpener” news summary at the top of the show. 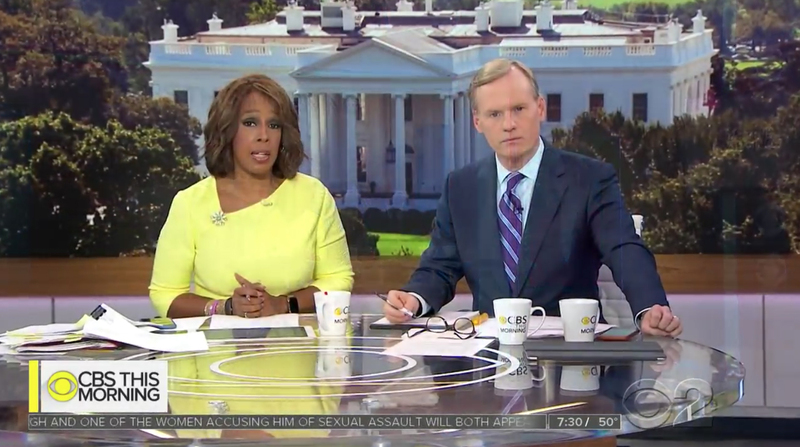 Also unlike “Today,” CBS’s morning newscast stuck with its normal bright yellow graphics, though it did use a red, white and blue design with star accents for some fullscreen graphics.